The cruise ship season extends into May. P & O’s Pacific Eden was in today. Station Pier is off limits to foot traffic on cruise ship days but the western wing pier is a more relaxed place to be anyway. Hidden behind Station Pier’s unprepossessing restaurants, the wing pier is a good ‘get away from it all’ place. It always feels cooler there. You can get close to the water on the lower platforms. Seldom busy but usually frequented by a fisher or two, it’s a low key, easy kind of place – not over-designed or over-managed. The kiosk is now home base for the Waterfront Welcomers who help cruise ship passengers on their way to enjoy their time in Melbourne. Near the restored Stothert and Pitt crane, as state of the art in 1950 as the cranes at Webb Dock are in 2017, there is an air quality monitoring station. People living nearby have been complaining for some time about odours from ships berthing at Station Pier. Many cruise ships emit high levels of fine particles and sulphur dioxide, both of which can be harmful to human health and detrimental to local air quality. In response to ongoing complaints, air quality testing was undertaken for the 12 months between January 2016 and January 2017 by the Port of Melbourne Corporation (now Victorian Ports Corporation) in co-operation with the EPA. The data gathered from the monitoring stations has been complemented by air quality diaries kept by people experiencing the problem. The data is being analysed before further steps are taken. Similar problems were experienced by residents in Sydney. Following a high profile campaign, legislation was passed which introduced regulations to limit the sulphur content of fuel of ships calling at Sydney Harbour. Since 1 July 2016, the use of low sulphur fuel (0.1% or less) by cruise ships while in Sydney Harbour has been mandated. Reducing sulphur is the key means of reducing both fine particle and sulfur dioxide pollution. Several countries operate Emissions Control Areas including the Baltic Sea area, the North Sea area, and designated coastal areas of the United States and Canada. In response to pressure on this issue, the International Maritime Organisation has recently committed to new requirements which will see sulphur emissions fall from the current maximum of 3.5 percent of fuel content to 0.5 percent by 2020. 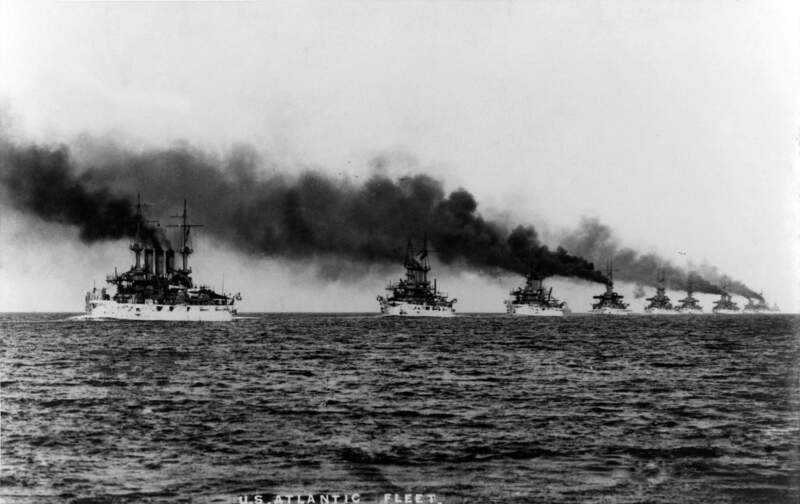 This image of the U.S. battleships of the Great White Fleet which visited Melbourne in 1908 on their round the world mission is a reminder of just how severe the pollution from coal fired ships was. The ships were painted white as you can see, and decorated with gilded scrollwork with a red, white, and blue banner on their bows. How did they keep them so gleaming? 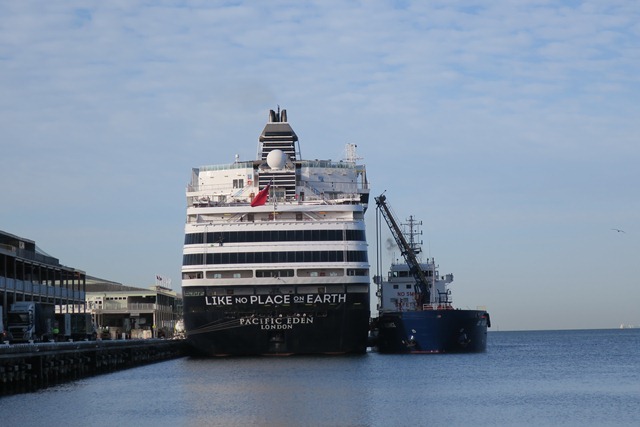 Will special requirements be put in place for ships berthing at Port Melbourne or will we have to wait for the IMO regulations to take effect in 2020?